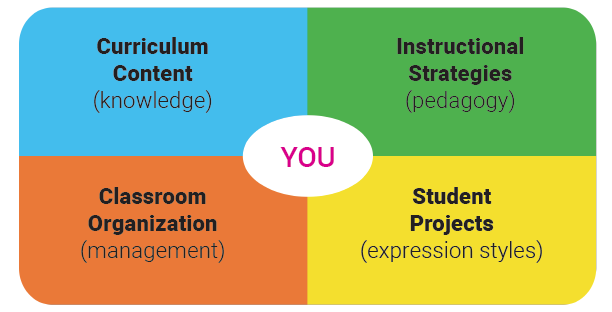 Educators committed to providing students with a rich, multifaceted learning experience know that a traditional one-size-fits-all curriculum and instructional style doesn’t engage all students, increase achievement, or produce successful learning outcomes. However, despite their best intentions, teachers don’t always have the time and resources to differentiate by locating appropriate content and instruction to meet the needs of each student. Students — With Renzulli Learning, students’ natural enthusiasm and interests guide their exploration of new topics and concepts. Each student gets a personalized list of resources that fits his or her learning profile. Teachers — Renzulli Learning makes differentiation possible by allowing teachers to address the full spectrum of learning and product styles of their students and to group their students with similar styles. The ready to use project and assignment templates cover a wide variety of curriculum topics and standards, plus are completely customizable. Administrators — Renzulli Learning is a cost effective approach to personalized learning for ALL students, leading to higher achievement through increased student engagement. Administrators will appreciate the tools to enhance instruction to meet Common Core and other standards, as well as the ability to easily generate student profile reports. Parents — With Renzulli Learning, parents can stay involved with their child’s education, and easily track and monitor their child’s progress online and stay up to date on their child’s activities and assignments. Tailoring curriculum requirements and pacing guides to meet individual student academic strengths will raise achievement. Each student has unique learning styles – providing lesson formats that address these styles can increase engagement. Organizing students into groups of similar interests and academic strengths will unleash collaboration. Improve the quality and enjoyment of student work by accommodating their preferred modes of expression. Weaving these differentiation strategies into daily instruction will increase results for all.